Best wishes from India Study Times for your exams! Good luck! Time of Examination: 9.00 a.m. to 12.15 p.m.
QIP 2016-17 - Do you know Last Date for Submission of Applications for QIP is 10th November 2015? 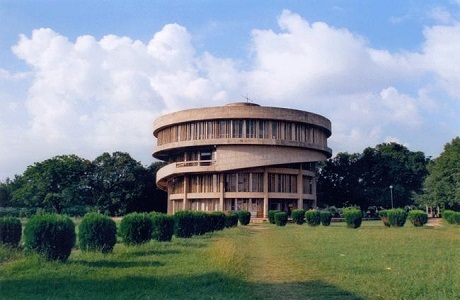 University School of Open Learning (USOL), Panjab University (PU), Chandigarh has extended the last date of submissions of Assignments of all post graduate courses (M.A.) upto November 30, 2015. The last date for assignment submission of MBA IIIrd Semester, M. Com-1st Semester and M. Com.-IIIrd Semester have been extended upto November 16, November 12 and November 16. Students have been advised to submit their assignments accordingly. Chairperson USOL Prof Jaspal Kaur Kaang, told that no assignment would be accepted after due date. Looking for admission to MBA & M.Tech at BITS, Pilani? Then good news for you BITS, Pilani has invited the applications for the admission to MBA and M.Tech for the second semester 2015-2016. 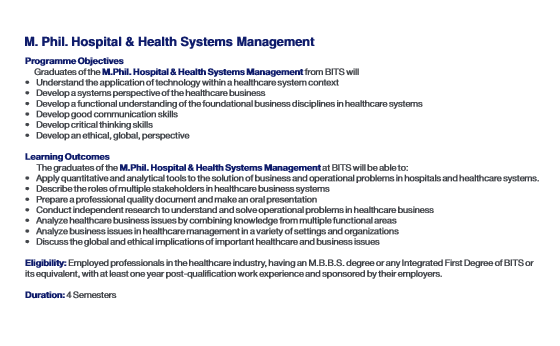 BITS-Pilani, India in collaboration with CMC, Vellore and Bombay Hospital, Mumbai invites applications for admission to M.Phil. Hospital & Health Systems Management for the academic session April 2016. If you are looking for admission in M.Phil. Hospital & Health Systems Management then you must apply for better career options. Eligibility: MBBS degree (professionals in the healthcare industry) or any first degree of BITS or equivalent, with one year post qualification work experience by their employers. University of Hyderabad is conducting the semester exams for various courses for the semesters 1st, 3rd, 5th 7th & 9th from 20th November 2015 to 30th November 2015. If you are student of these semester then this notification may be important for you. University of Hyderabad invites applications for Visvesvaraya Ph.D. Scheme for Electronics and IT for Academic session 2015-16. Ph.D. Electronic Sciences : Candidates qualified in GATE (ECE, Instrumentation or Physics) within the last 4 years (2012-2015). Basic degree should be B.Tech or M.Tech. in an area of Electronics or M.Sc. (Physics) with Electronics as one of the subjects. Marks for the basic degree should be a minimum of 60% . Admission is based on GATE score + an interview. If the number of candidates are large, a written test may be conducted at University of Hyderabad for screening and short listing candidates for the interview. When will be VITEEE 2016? When will be VITEEE 2016 Online and Offline Application Forms Available for B.Tech? VITEEE (VIT Engineering Entrance Examination) for B.Tech admission at VIT University is one of the biggest entrance examination in India. Last year 2,02,406 candidates applied for VITEEE and this year number may increase. Students who are doing 10+2 non-medical (or who are preparing entrance test for B.Tech 2016-2017 by dropping their year) are eager to wants to know when will be the VITEEE 2016? and when will be VITEEE 2016 online and offline application forms available? So, When will be VITEEE 2016? It will be from 6th April to 17th April 2016. When will be VITEEE 2016 Online and Offline Application Forms Available? It will be starts from 27th November 2015 onwards. Eligibility: Aggregate of 60% in Physics, Chemistry, and Mathematics/Biology. Do you know which University made the record for highest job offers in any single day? Yes, VIT University has Limca Book of records for the highest number of jobs in a single day. And the University offered 5828 jobs in a single day. 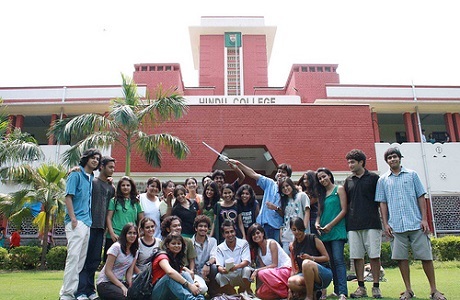 It is true and below are the number of students which each company had selected. 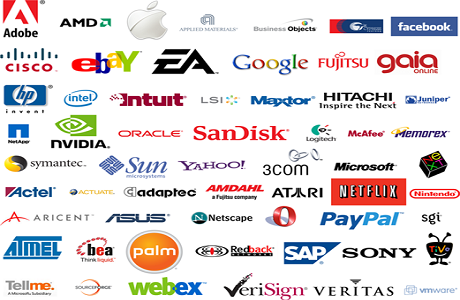 The students who were studying B.Tech (VITEEE) at VIT University were selected by these companies.